Thor: Ragnarok World Premiere Photos! 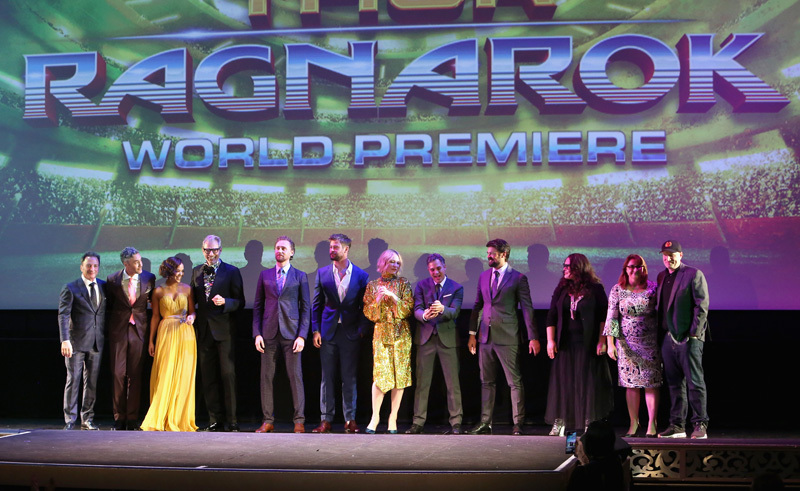 Last night, stars Chris Hemsworth, Tom Hiddleston, Cate Blanchett, Tessa Thompson, Jeff Goldblum, Mark Ruffalo and more were joined by director Taika Waititi and producer Kevin Feige for a walk down the red carpet where they greeted enthusiastic fans at the Thor: Ragnarok world premiere. Check out photos from the event below! Directed by Taika Waititi, Kevin Feige will produce the film, joined by executive producers Louis D’Esposito, Brad Winderbaum, Victoria Alonso, Thomas M. Hammel and Stan Lee. The screenplay hails from Stephany Folsom, Craig Kyle, Eric Pearson and Christopher Yost.